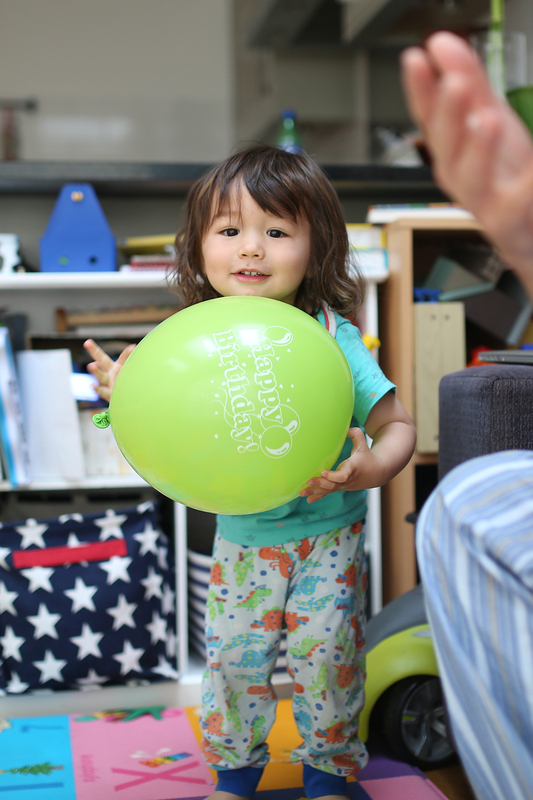 2 Littlefaces: Seb is 2! 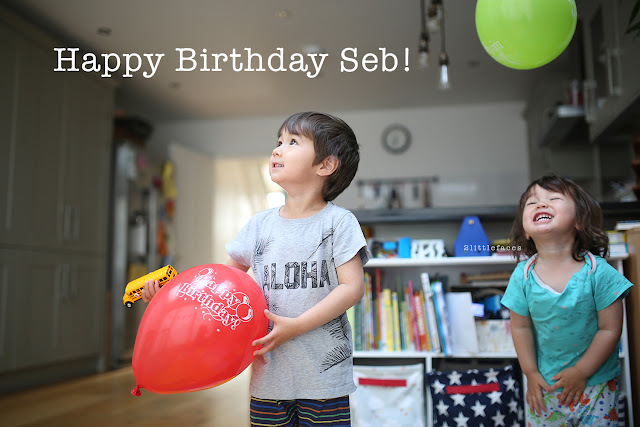 I can't believe Seb is 2! My little cheeky baby is all grown up! OK so not yet but things are moving so fast it won't be long before both boys will be bringing home girls for me to disapprove of. 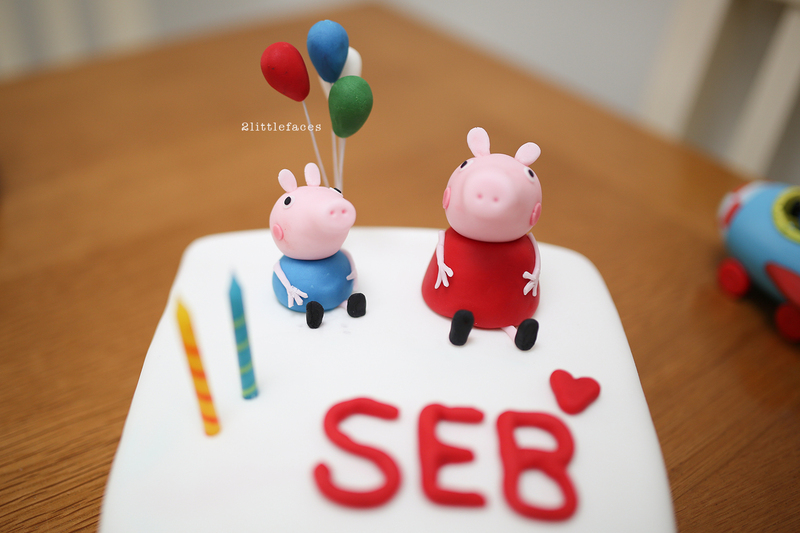 Anyway, for Seb's special day, I stayed up till 3 am making George and Peppa cake toppers, wrapping his present and preparing the room. I was so excited about it all. But when he came down in the morning all he saw were the balloons. And that was all he wanted! 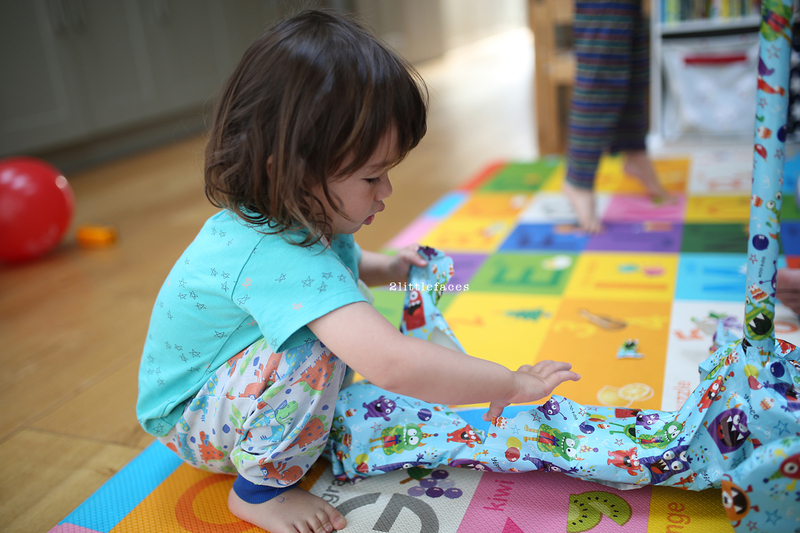 Even Harvey was trying to get Seb to look at his well wrapped present "look Seb your scooter!" bless him for trying. and he likes to end his arguments with "... anymore OK?!" 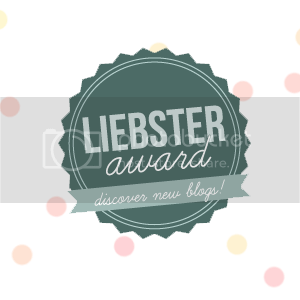 Seb has such a big personality for such a small person. He really knows what he wants or more to the point what he doesn't want. He may be the smallest and youngest but he definitely runs the house. My first attempt at making Peppa pig decorations! And for a birthday adventure we went to Peppa Pig World which you can read about here.